as a flavoursome hot drink. Sea salt, rice flour*, 7.3% vegetables*, (onions*,celery* 1.9%, carrots* 1.8%, pumpkin*), vegetable fat* (palm fat*, sunflower oil*), yeast extract, spices* (turmeric*, lovage roots* 0.04%, garlic*, fennelseed*), mushrooms*, concentrated vegetable juice* (carrots*, onions*), herbs* (chervil*, lovage* 0.01%). 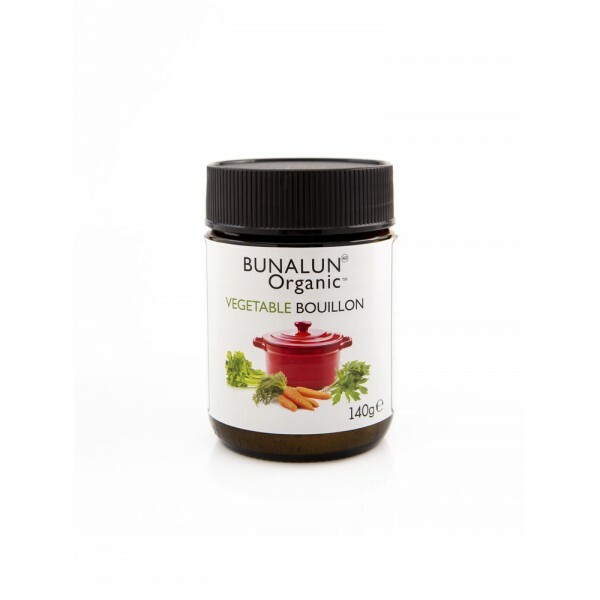 4 tsp of vegetable bouillon per litre. flavour of all savoury dishes. 1 tsp per cup of boiled water. Bunalun Organic Whole Mustard With Cider Vinegar ..